I did a Twitter thread on this topic a while ago and I’ve some thoughts I’ve wanted to gather for a while on this topic, so I’m combining them into a (hopefully useful) blog post. You go to work everyday and you want to feel excited but something always feel amiss. Some day you’re full of dread showing up to work, some days you wanna skip it altogether. Rather than being rewarding, it ends up taking a huge mental toll on you everyday. You are scared of what it’s doing to your mental and eventually, even physical health. You try sticking around hoping it’ll get better eventually, but it doesn’t. You wonder if something is wrong with you? Did you manage to screw it up somehow? It ends up being worse if you’ve to deal with this stuff early in your career because you don’t have the luxury of relying on experience to inform your assessment of the situation you’re trapped in. This story might sound very familiar to folks belonging to underrepresented minorities in the tech industry. Let’s dig in and start from the basics. What is a toxic job? 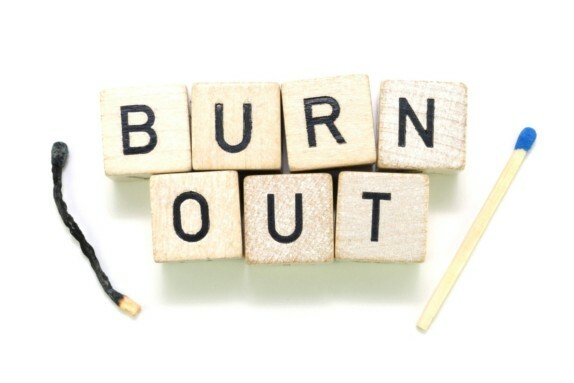 A toxic job is one that leaves you burnt out and drained every other day. It can cause you trauma affecting your physical or mental health. Constantly feeling tired or dreading going to work are all signs that point to it. Alarm bells should start ringing when it becomes a “normal” occurrence or something you find yourself getting used to instead of something that happens once in a while. What leads to a job becoming toxic? Unsupportive managers — a manager that doesn’t support you can be a huge source of discontentment at work. Be it supporting your career aspirations in the long-term or day-to-day development, clarity on your immediate and long-term goals, having a supportive manager is key. Toxic working relationships — a set of coworkers that are negative, completely demotivated and spiteful can also significantly decrease your day-to-day morale at work. Having a healthy amount of mutual accountability, respect and support is paramount for a good working environment. Being deprived of that, being condescending to junior folks or indulging in petty politics in the work place can also lead to jobs being toxic. Chaotic and disruptive workplace practices— everything around you being in a constant state of disarray is also not very helpful. Worse if nothing is being done to alleviate them and it’s the status quo. Nothing kills your spirit more than feeling that what you do doesn’t matter and there is nothing you can do to make it matter. This can be applied to a large chunk of practices: code reviews, sprint planning, releases, etc. Uninteresting/non-challenging work — this can depend greatly from person to person, but for some folks if you’re not doing work that’s challenging and you end up making no use of your brain for a continued period of time, it can be the source of a lot of internal commotion. It can easily lead to a depleted sense of self-worth and cause you to wonder “what the hell am I doing with my life” every other night. Side note: A lot of people think that the main cause that leads to burn out is often too much work when you’ve no time to do anything but work, work, work 24X7. However, the flip-side of it is that having no opportunities for growth, no recognition of the kind of career trajectory you want to pursue and feeling stagnated because you’re not learning anything new and being unable to improve the situation around you can also severely impact someone’s sense of self-worth and in turn mental health paving the way for burn out. This is another blog post altogether. This is also by research into how humans interact socially. Of course there can be multiple other factors, but I’ve tried to list some of the most common ones. The list is way worse and much longer for folks from underrepresented folks who have to deal with a ton of crap just to be able to their jobs. What can you do if you’re stuck in a toxic job? Get. Out. Run. No, seriously, especially if it’s affecting your health (yes, even mental health). If you’ve been stuck in a terrible situation like months, it might be time to accept that it’s not you and it’s not going to get better. You can’t fix everything and that’s okay. It’s not your fault, you haven’t failed — it’s your manager/employer who has failed you by not being able to provide a safe and productive working environment. If you can change teams within the company, great, evaluate your options. If not, it might be time to start looking for something new. Don’t let it become your “new normal” no matter what. Don’t get complacent. This is probably the worst side-effect of a toxic job: it’s so easy to normalize your situation by reasoning around it — “this is how it’s supposed to be” — don’t do that to yourself. It’s not normal. Don’t let it fool yourself and stagnate you for years. Don’t let it consume you. Surround yourself with people who’ve healthy jobs and are somewhat happy with them. Tell them to remind you that what you’re going through isn’t normal in any way and that you deserve better. If you’re early in your career and don’t the luxury of falling back on experience, invest time in finding mentors who’ve spent more time here and know better. Talk to your colleagues if possible. This will be highly dependent on the kind of relationship you’ve with your colleagues, but if possible, you should talk to them about the issues you’re facing at work and ask if they’ve experienced/noticed them as well. This can be a great way to ascertain that there is a much larger problem at hand and it isn’t *you*. This is also a great way to find out what has been done to deal with such problems in the past. If these same problems have existed for years with nothing being done about them, you know it’s a lost cause. If you’re suffering, please seek help. There is absolutely no shame in asking for help when you’re going through a terrible time. Talk to your friends, family and you’ve access to therapy, please do seek professional help. P.S.- These views are my own and if you don’t agree with them, it’s completely okay.